POP's Phil Forsyth and Alkebu-Lan Marcus demonstrate the use of pole pruners on a peach tree in the OSB orchard. 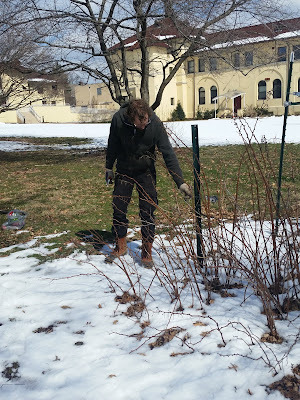 After learning about the basics of ecological orchard care and pruning in a morning lecture session, participants received hands-on pruning instruction in the Overbrook School for the Blind orchard—one of POP’s partner sites. Other courses in the POP CORE series have covered pest and disease management, and common and creative uses for orchard fruits, herbs, and fungi. Part 4 of the series will take place this Thursday, March 29 at Bartram’s Garden and will provide an introduction to permaculture and Philadelphia’s food system (details and registration link here). 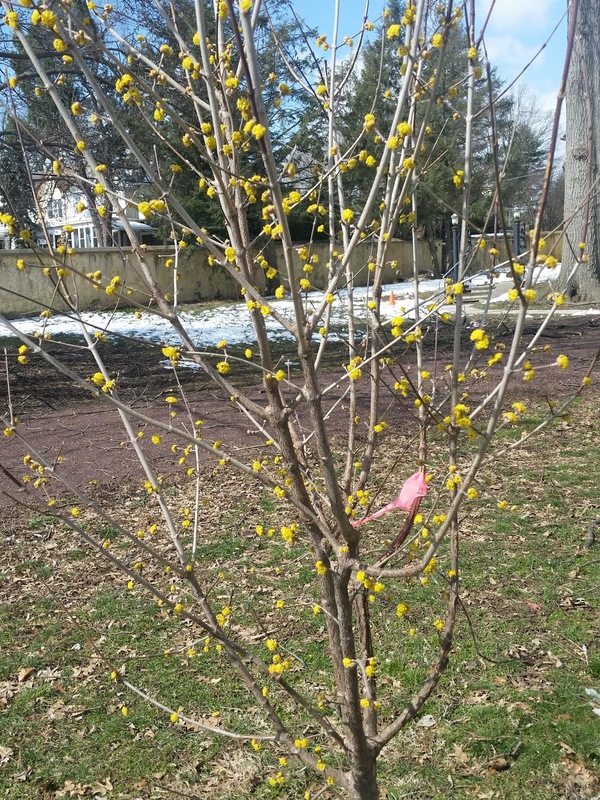 For those interested in learning more about orchard care in general, POP’s website offers a wealth of informational resources, as well as opportunities to get involved with Philadelphia’s many community orchards. Philadelphia Orchard Project also partners with the Penn State Extension Master Gardeners of Philadelphia on the food forest orchard at the Fairmount Park Horticulture Center. Tours of the food forest and other MG demonstration gardens will be available at the 5th Annual Garden Day and Plant Sale on April 22—for more details, see the flyer in our previous post!